OpenStack 'floating Linux kernel' rides VMware hypervisor ! OpenStack – the open source "infrastructure cloud" project founded by Rackspace and NASA – has released a third version of its platform, offering support for all major hypervisors. According to Mangione, VMware has "always been invited" to contribute to the project. But this has yet to happen. 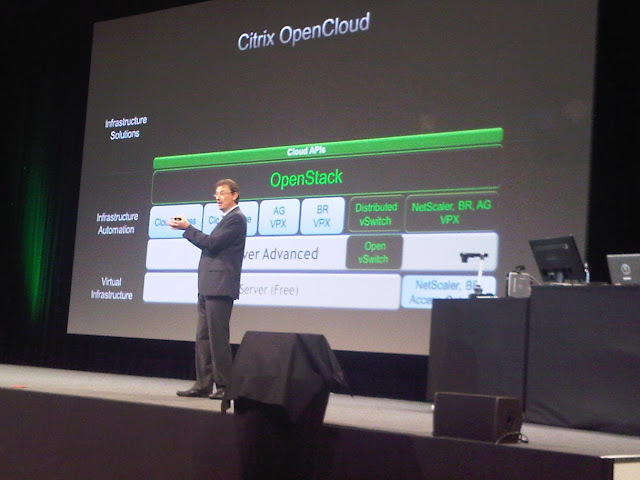 The virtualization giant offers its own proprietary competitor to OpenStack: vCloud Director. OpenStack also offers support for the KVM, LXC, QEMU, and UML hypervisors, and even Microsoft's HyperV. Microsoft didn't contribute the code itself, but it did officially contract with startup Cloud.com on the effort. According to Jonathan Bryce, chairman of the OpenStack policy board, Cactus also improves "stability and reliability" for large-scale deployments. "One of the big themes for this release is to add stability and really tune up some of the existing features," he tells us. "The first two releases had hundreds of new features going in. People are starting to deploy this and go into production, so we really needed to tighten things up." The first OpenStack incarnation, codenamed "Austin", was released last fall; the second, "Bexar" (pronounced "bear"), arrived in early February. NASA and Rackspace first unveiled the project last summer, vowing to create a truly open platform for building so-called infrastructure clouds, online services that provide on-demand access to virtual computing resources that scale as needed. These might be "public clouds" similar to Amazon's AWS – a web service served up to the web at large – or they might "private clouds" used only behind the firewall. NASA has called it a Linux kernel for the cloud. The project includes two major platforms: OpenStack Compute and OpenStack Object Storage. OpenStack Compute is based on Nova, a compute engine and fabric controller designed and built by NASA, and OpenStack Object Storage grew out of Swift, an object storage platform built by Rackspace. Nova underpins NASA's internal Nebula compute cloud, and a version of Swift drives Cloud Files, Rackspace's public storage service. But the project now includes a third piece: the OpenStack Image Service, codenamed "Glance", a discovery, public registration, and delivery service for virtual disk images. The latest version of Glance includes a few security enhancements, including image verification, and a new command-line interface. In addition to offering vSphere support, OpenStack Compute now offers live-migration support for KVM, which lets you move live virtual machines from one physical host to another, and there's now "multi-cluster region" support, which means you can now manage servers in clusters, and create separate "availability zones" that operate independently of each other. Amazon Web Services offers multiple availability zones designed never to go down at the same time. The latest incarnation of OpenStack Object Storage offers an improved authentication system, static web serving for faster access to content, and tools for integration with billing systems. The next OpenStack release, "Diablo", is scheduled to arrive in July. For the time being, the project is working on a strict three-month release cycle.